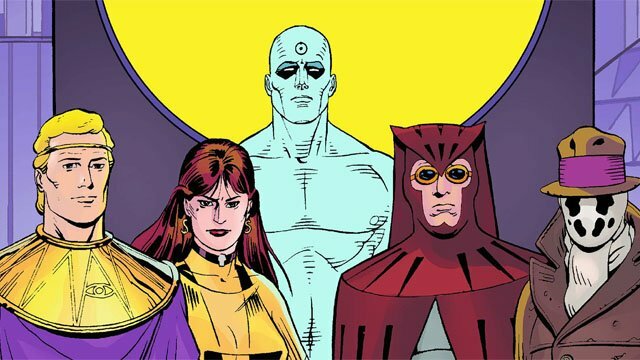 Next year, HBO will enter the world of Watchmen with a new TV show by Lost co-creator Damon Lindelof. Watchmen co-creator Alan Moore has famously rejected any adaptations of his iconic story. But Moore’s artistic collaborator, Dave Gibbons, has been more open to it. At New York Comic Con, Gibbons was given the chance to weigh in on the Watchmen television series. And he seemed to be very pleased with Lindelof’s approach. Lindelof’s Watchmen is reportedly exploring new characters and settings within the original world of the comic without rehashing the original story. Gibbons noted that he’s only read the screenplay, but it does continue the alternate world set forth by Moore and Gibbons over three decades ago. Moore and Gibbons released Watchmen in 1986 to immediate critical acclaim and a strong fan reaction. Moore’s major grievance about the project is that he and Gibbons were supposed to get back the rights to the book. But because the trade paperback has never been out of print, DC Comics retains full control of Watchmen. Zack Snyder released a theatrical adaptation of Watchmen in 2009. Lindelof’s HBO series will debut almost a decade later, in 2019.